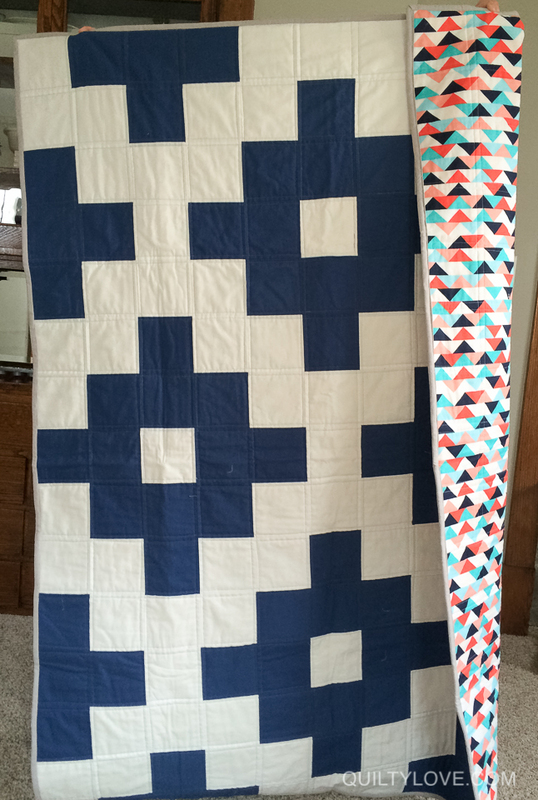 I’m really loving the solids trend in quilting right now. I sketched out this design and made it with 5″ charm squares. The navy is a bella solid that I bought as a charm pack. Super easy and quick to go together. 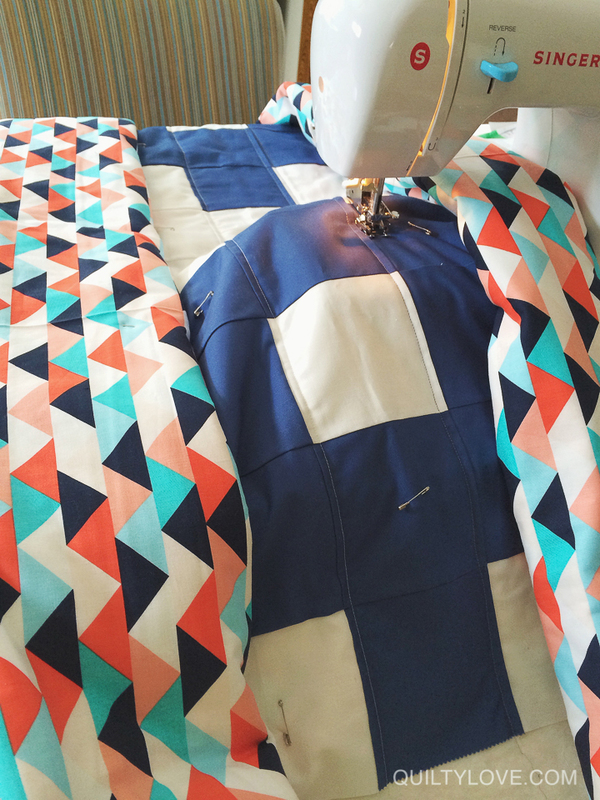 Backing is a bright triangle fabric by Michael Miller fabrics. 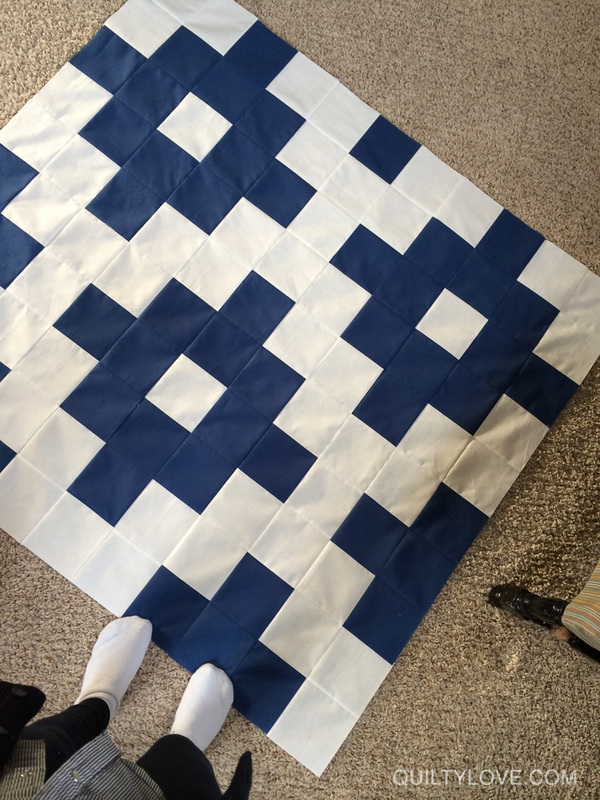 I would like to know your instructions for making this quilt. 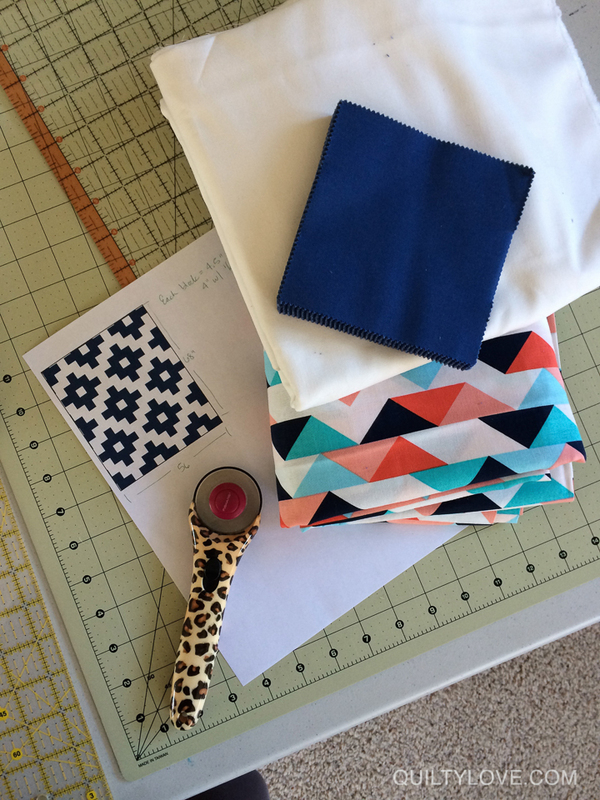 Also the yardage for the quilt. It is exactly what my daughter in law wants for her first baby.